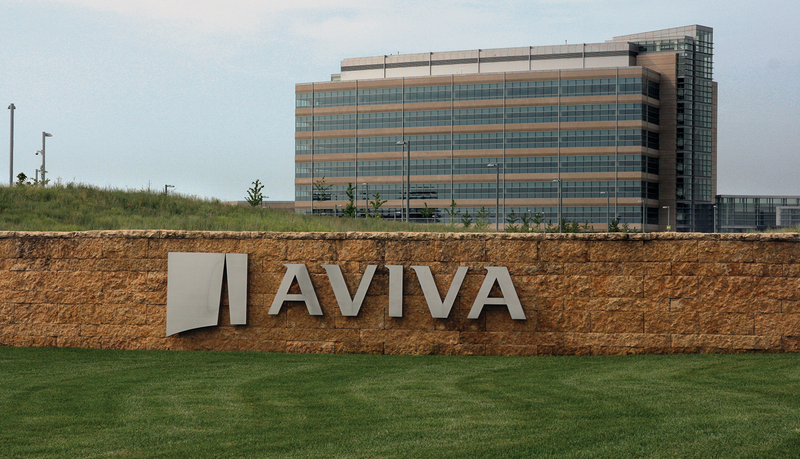 Aviva, the U.S. unit of London-based Aviva plc, constructed a new, 360,000 sq. 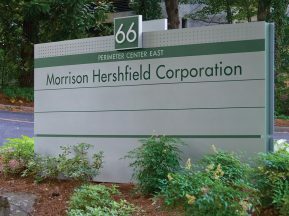 ft. corporate campus to consolidate three separate locations and bring together all 1,300 employees and contractors under one roof. 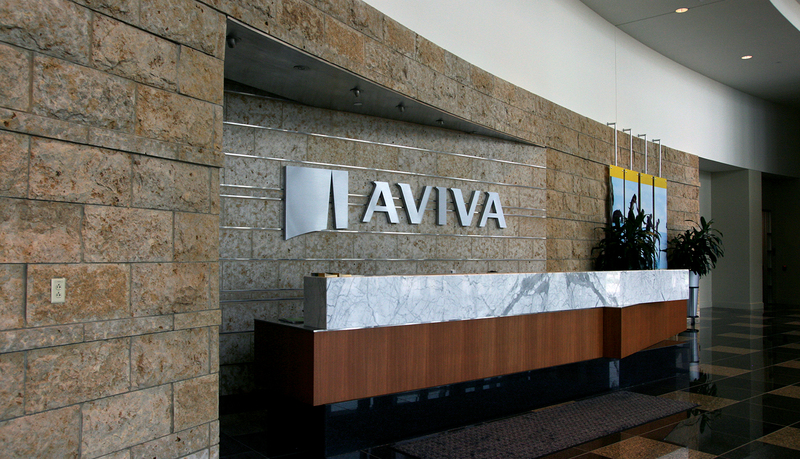 The two-story commons building and eight-story office tower, which sits on 88 acres of commercial space, is designed to accommodate Aviva’s future growth objectives and be an energy efficient structure that meets stringent environmental and sustainability principles. 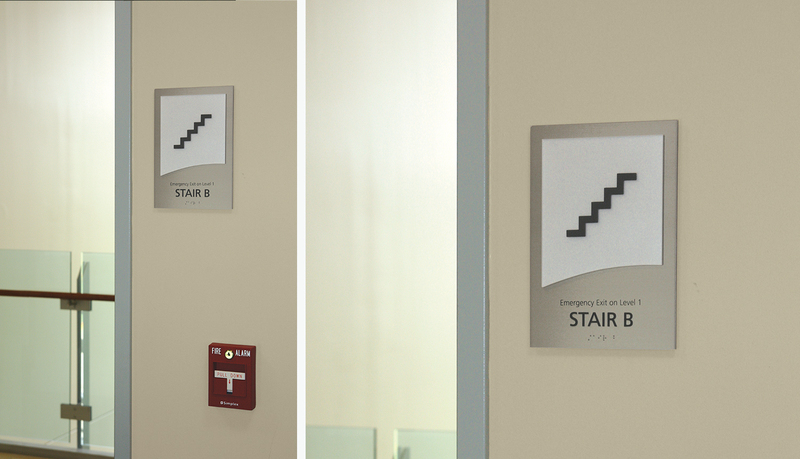 By reducing the facility’s carbon footprint, Aviva attained Gold-level LEED certification for the facility. 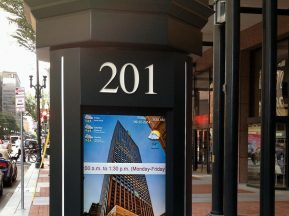 HKS architects, in conjunction with the team at SVPA Architects, designed the office tower as an open plan space with office and building support spaces. 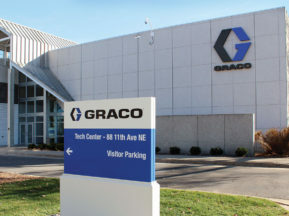 The architectural team specified building materials that include a glass curtain wall, precast concrete panels, native stone, and metal trim. 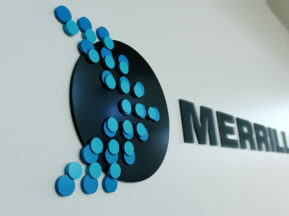 The result is a facility that makes heavy use of natural light to help reduce energy usage and bring warmth and comfort to the employees inside the facility. 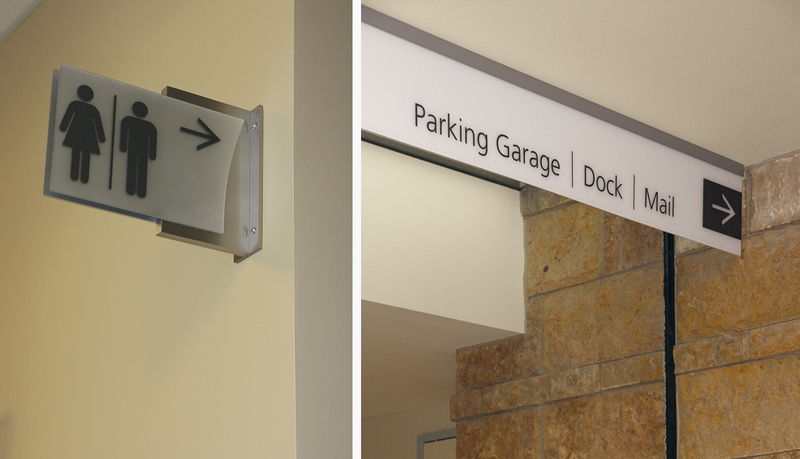 In order to complete the construction, Aviva and the signage design team at Forcade Associates needed an interior and exterior signage partner to provide a complete architectural signage solution that used the same building materials and fit within modern architectural design. 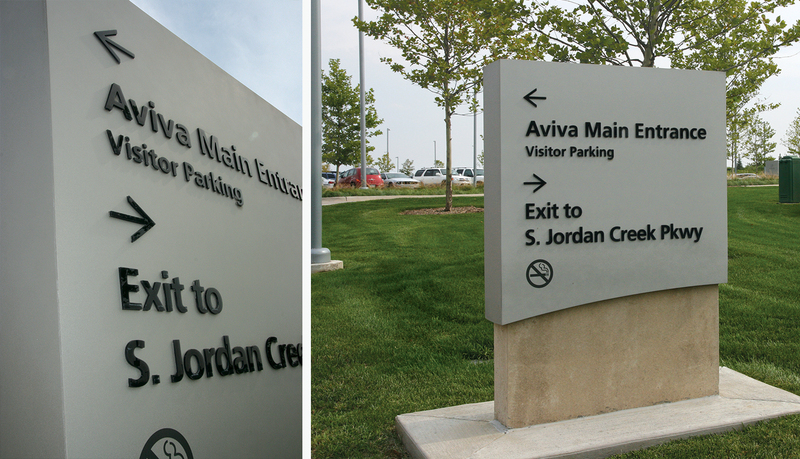 ASI was chosen to provide a complete architectural signage solution for Aviva, which includes custom exterior signage, dimensional letters and logos, and custom interior signage. 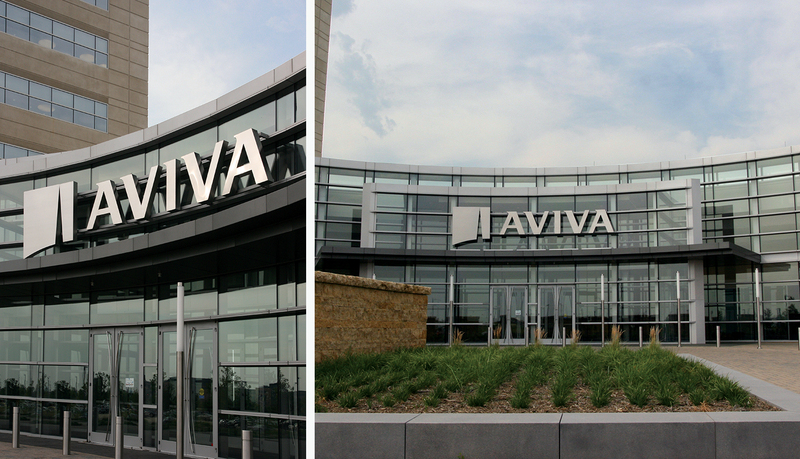 The custom interior signage design and the dimensional letters for Aviva focus heavily on the natural aluminum finish, which complements the metal trim that is integrated into the building structure. 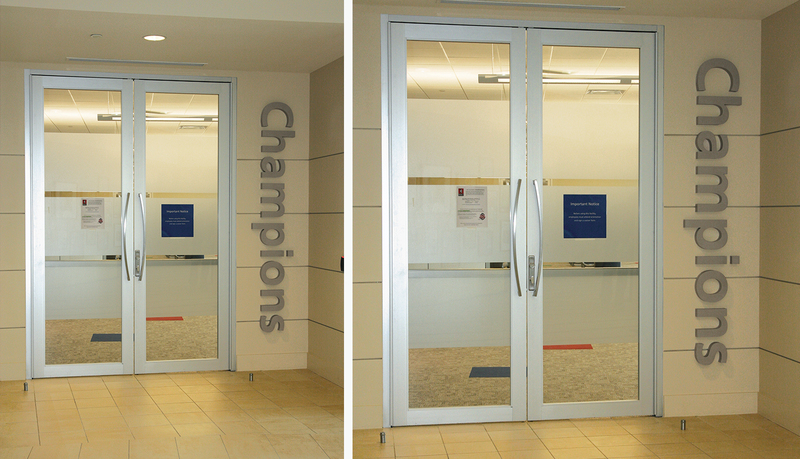 Aluminum is used as the backplate for the ADA-Ready™ room ID signage, and the face panel, which is made from white crystal ice acrylic, simulates the glass material. 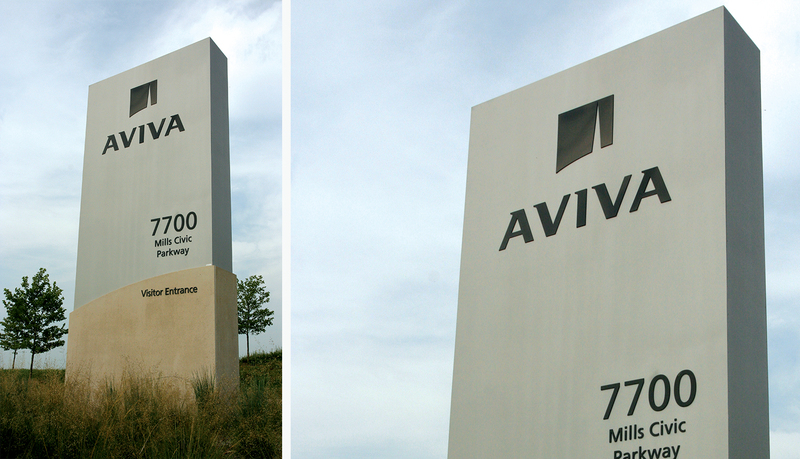 Also, the face panel is cut into a shape that echoes the look and feel of the Aviva logo. 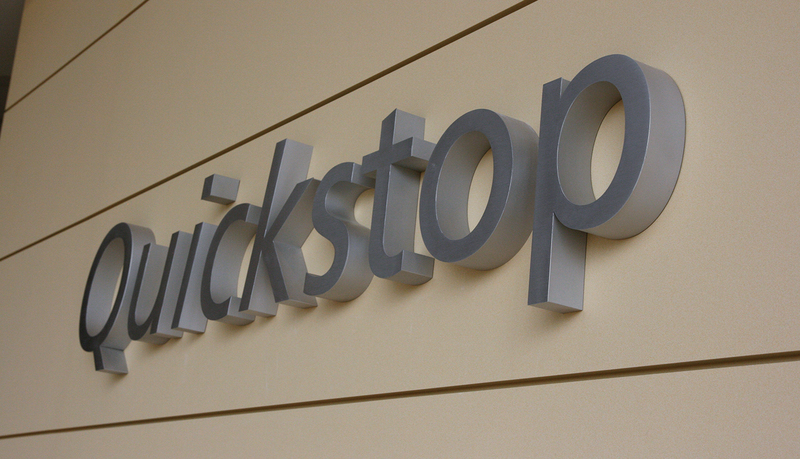 The custom exterior signage is designed and constructed to use the same natural stone and aluminum paneling that is part of the facility. 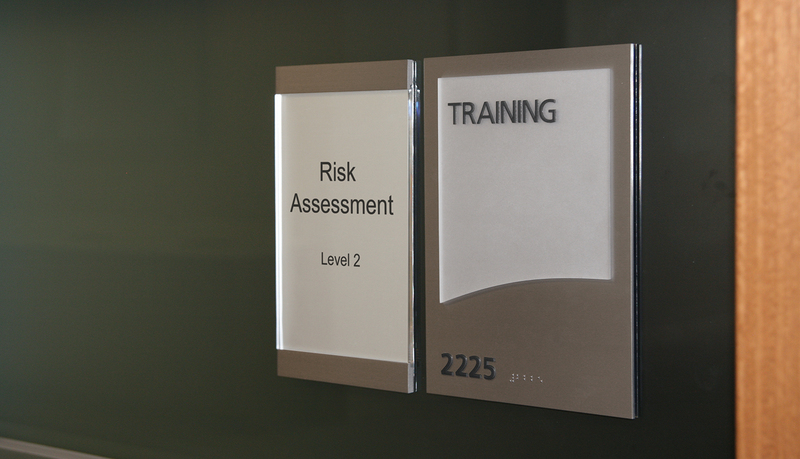 The exterior signage solution includes entry monoliths, directional signs and large dimensional letters and logos on the façade of the glass curtain wall and the eight-story office tower.